An empty stomach. I spent the week before being even more diligent about my diet and exercise. That way I could eat with abandon and not feel guilty. If you do not suffer from food-guilt then bully for you. Eat your heart out, no Hail Mary required. Good walking shoes. No, you do not have to wear your boring jogging sneakers or ugly orthopedics if your feet can get away with it. As a lover of flip flops I chose some comfy sandals that would stay put and also allow the cool breeze to flow through my toes. A fat wallet. Just know going in that you will spend too much money. Disney ain’t cheap but they do it right. Don’t be one of those assholes who takes the time to get to Disney yet still gripes about the prices. If you want cheap then Don’t Go To Disney. 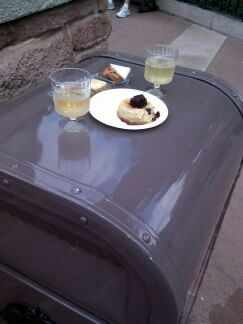 Flexibility to eat standing up, sitting on a stoop, or using the top of a trashcan as a table. Hubby and I joke about this, but yes you will end up using one of the trashcan tops as a table. I like to think Disney is impeccably clean, so the trashcans are probably no worse than the steps, more than likely cleaner. And by your third sample of wine you won’t give a rip anyway. If you do spot an empty table, which you will stand at, then consider yourself royalty. This is a competition, really, so there’s no need to sit down and relax. Unless you want to chill on the steps of Venice and watch a little girl twirling her purple parasol to the tune of Volare while you sip on the biggest pour of wine ever received at the festival. It’s Italy. Would you expect anything less? My view close to the little girl with the parasol. She really was adorable. But I wasn’t going to be a weirdo and take a photo of her. 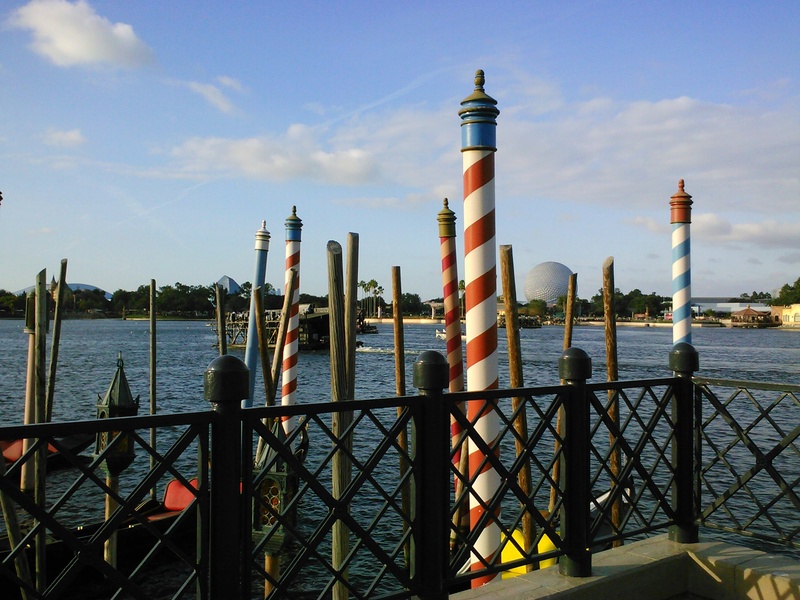 So here’s a gondola mooring instead. A loose fitting shirt. You will eat too much. So dress accordingly. A love for food and wine. This may seem like a given, but there are those there who don’t get the whole eat-and-drink-as-much-foreign-culinary-delights-as-you-can-partake thing. I actually heard a woman, who was quite obese, as she was choking down a shrimp taco say to her friend, “God I can’t eat this much food. This is just too much.” I also noticed across from the Mexico kiosk (which served the amazing taco) that people were actually eating cheap nachos at this side-street cantina instead of the amazing shrimp tacos at the kiosk right across the street. This is just a snippet of what I saw regarding crazy hats. Notice the random Viking in the background. There was actually a whole group of them. A ridiculous hat, fluffy multi-colored tutu, silly socks, or matching t-shirts. These Disney patrons are not messing around. They are there to have fun and make memories. That’s what this one lady actually said to me when I asked where her and her six other female family members got their fluffy, multi-colored tutus. I wore my hair in pig-tails just to be a little funky but that was nothing compared to the Viking helmets, Mickey Mouse hats, karate headbands, googly-eyes, beanies, and electric, flashing plastic dread locks I saw on the top of many a head. The wearing of such will not only look more normal, but also make you happier. It’s a known fact. 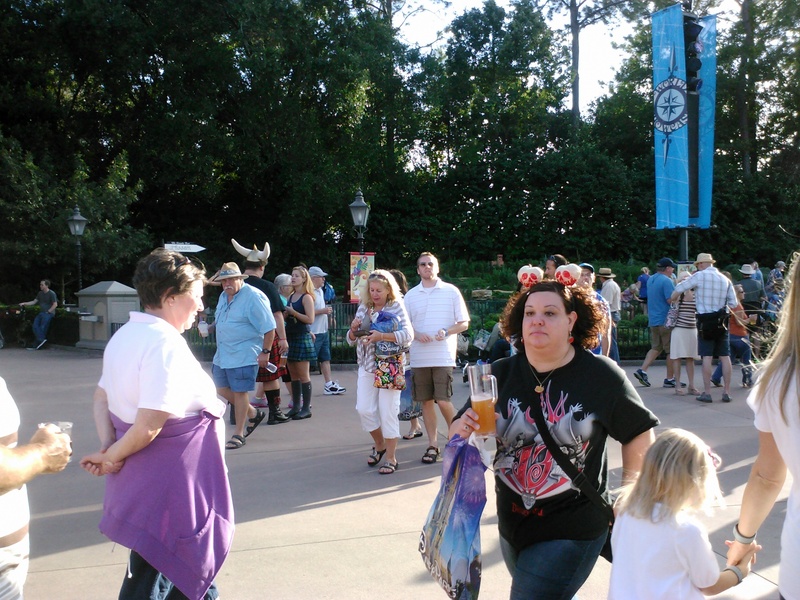 Disney is the land of funny hats. Revert back to the playing of Frogger. 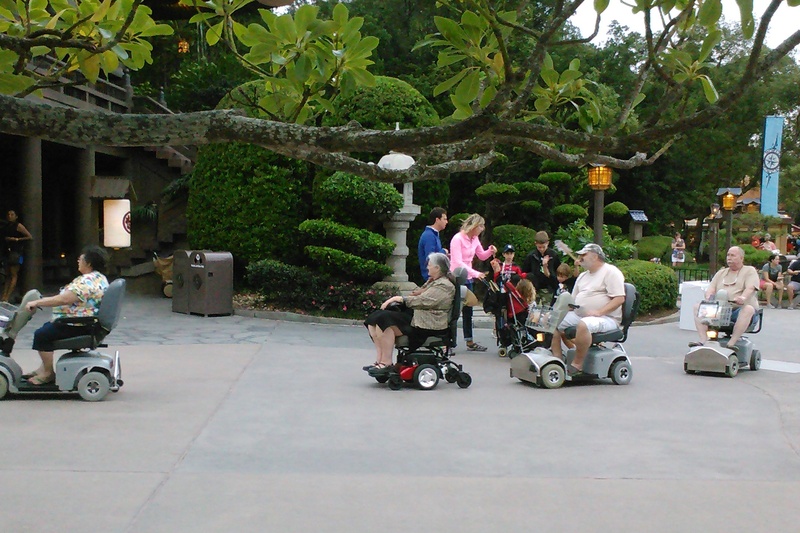 When you do need to pee, and you most certainly will at some point, you will have to use your old Frogger skills to get across a sea of merry folk to get to a restroom. Once again, this is a competition. This was the first time in my life that there was actually a line for the men’s room. I looked over at the twitching, beastly characters with no sympathy and said aloud, “Now YOU know how it feels!” Then I proceeded to get real nervous when in line for the ladies I found out there were only two stalls at this particular restroom and all the women in front of me were nearly clocking how much time each one was taking to finish. As all my friends and family know it takes me forever to pee so this was not a fun moment for me. I pictured the flowing stream and dripping faucet well before it was my time to enter. I think I even unbuttoned my pants in line just to gain time. Pace yourself. Even if you can “put it away” or have saved up room in your belly for this glorious occasion, you will get full. So pace yourself. I was getting full only halfway around the world after an amazing artisan cheese plate. I know, loser. So I took a food break for a bit then started again. Our goal is to go around twice. The second time hitting up all the kiosks we couldn’t the first time around. Or we use the second go-around for dessert and hot toddies. Go with someone who can handle all of the above. I might not take my hubby to every party (small talk is not his thing) or other gatherings where he might not feel comfortable, but he is my partner in food and wine utopia. He can keep up with me, genuinely enjoys it all, and doesn’t complain. In fact I hadn’t seen him move faster or act cheerier than I had in a long time. 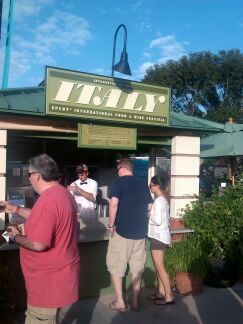 They were the friendliest of all the kiosk servers. I think I even got a marriage proposal. I don’t mean to dampen the excitement of this splendiferous occasion by spouting off rules. Because it is such an occasion. For me, at least. Those were just suggestions for if and when you decide to go. Of course you’ll have to wait til next year. I’m already counting the days. Big pour on the stoop. Anyway it was a wonderful day. The weather was perfect. The food was the best ever since 1999 when Mexico had those warm, cheese nips. It was seafood-heavy this year which is right up my alley since I don’t usually eat mammals. 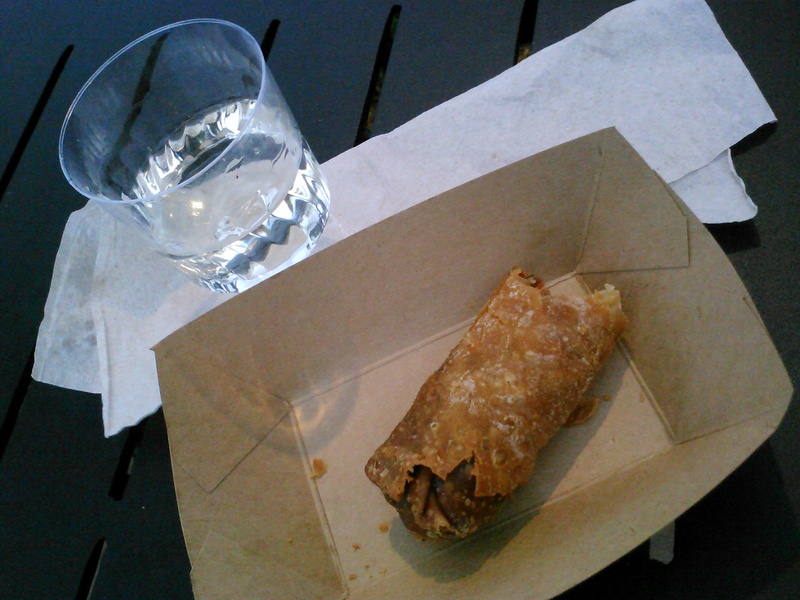 I got crazy and mixed– Japanese sake and Moroccan chicken roll. Singapore’s lemongrass curry chicken and seared Mahi Mahi with “Singa” sauce rated in our top 3. The other toppers included the chicken roll from Morocco and get this: the Trick’n Chick’n curry and Chili Colorado from the Terra kiosk, which was all vegetarian. Even my meat-eating hubby thought it was heavenly. 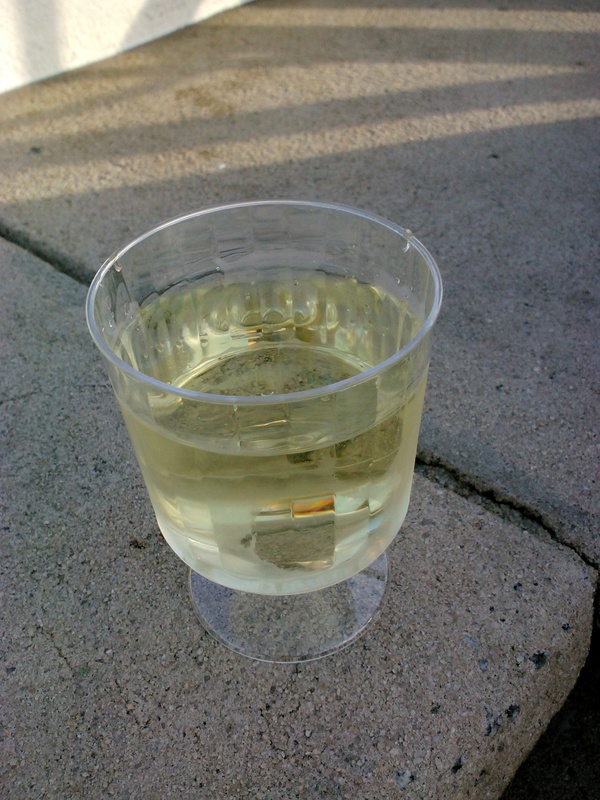 And their Vegan Vine Chardonnay was probably the best (though not the biggest) pour of all. There were 30 kiosks and 22 countries represented in all. 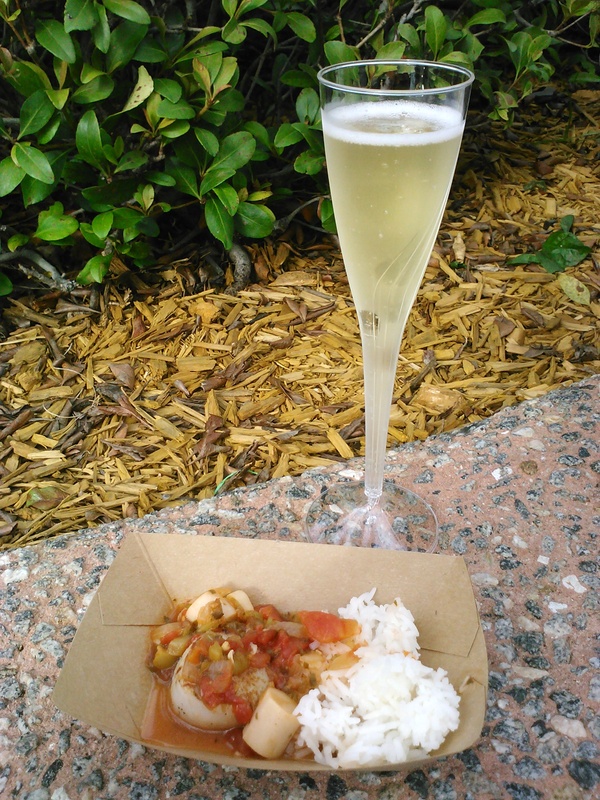 Also a cheese cart, coffee cart, brewer’s collection, and desserts & champagne kiosk. The Moroccan baklava and mini Belgium waffle with warm chocolate ganache melted in our mouths. 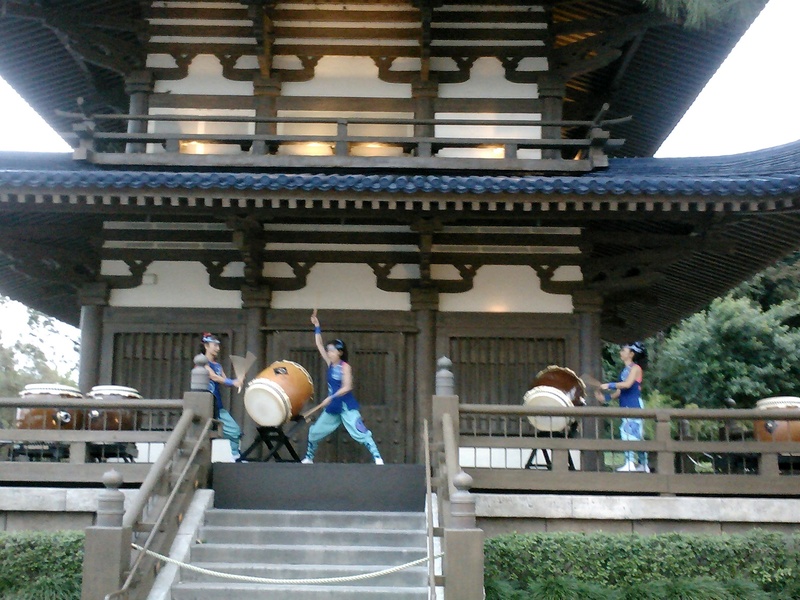 Kaiko drummers and warm sake– fabulous!! Yes, it was crowded. 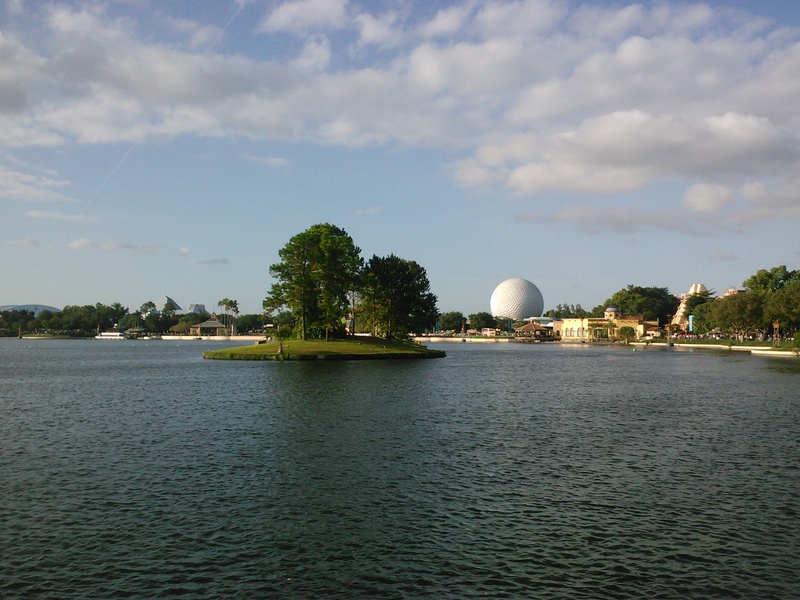 And yes, Spaceship Earth stopped in the middle of the ride as rides always do when I get on them. But I took it all in stride. When you’ve got a delicious breeze, culinary delights, and booze involved everyone’s happier, right? And I only heard one kid cry. The competition proved a success. No blisters formed. Made it around the world twice. Even had room for multiple desserts. Saw a woman in a muumuu. Got choked up during the evening’s fireworks as usual. Woke up with a slight hangover. Ready to do it all over again next year.